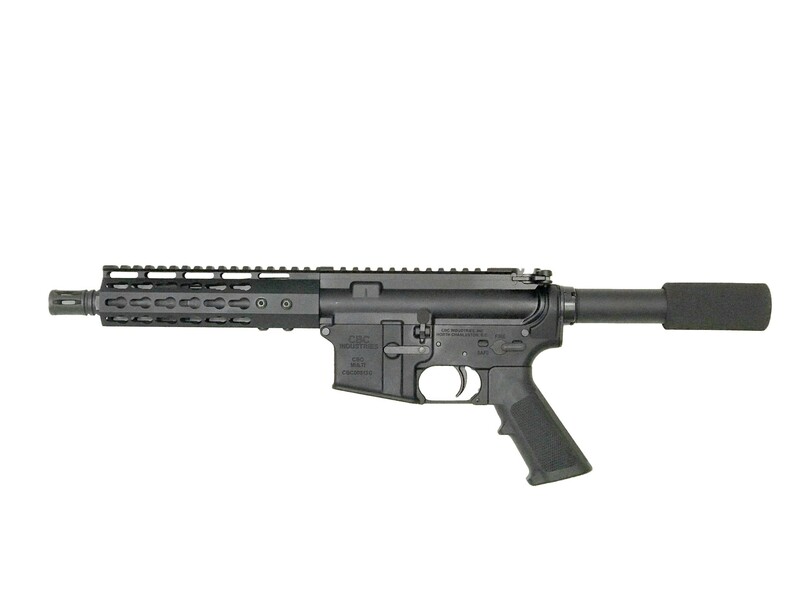 The CBC Industries Pistol CBCP1 AR Pistol is built around a 7.5” 4150 chrome moly barrel with a black nitride finish. The upper and lower receivers are machined from 7075-T6 aluminum forgings, hard-coated anodized black. The 7 sided Keymod Rail System gives the shooter a range of options for their desired accessories making your AR Pistol comfortable for the individual shooter.